Will Storr has done some seriously bizarre and otherworldly things over the course of his career as a journalist. But even spending an entire day with Ozzy Osbourne wasn't as frightening as when he agreed to follow Philadelphia "demonologist" Lou Gentile on his appointed rounds. 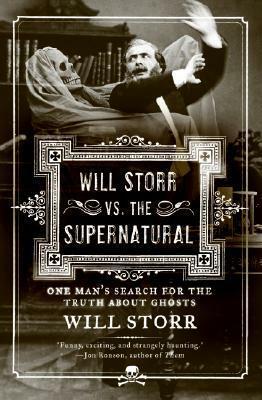 Will Storr never believed in ghosts--but his healthy skepticism couldn't explain the strange lights and sounds he witnessed, and the weird behavior of the occupants of several allegedly haunted houses.What resulted is a confirmed cynic's (and proud of it!) dedicated search for answers in a shadowy world of seances, mediums, devil worshippers--even the Vatican's chief exorcist. So get ready to confront the genuinely creepy along with the hilariously ridiculous in Will Storr vs. the Supernatural!